Normally this would be the signal to ascend to a shallower depth, but not today as this is the TEC 40 course and it’s all about staying down deeper for longer! 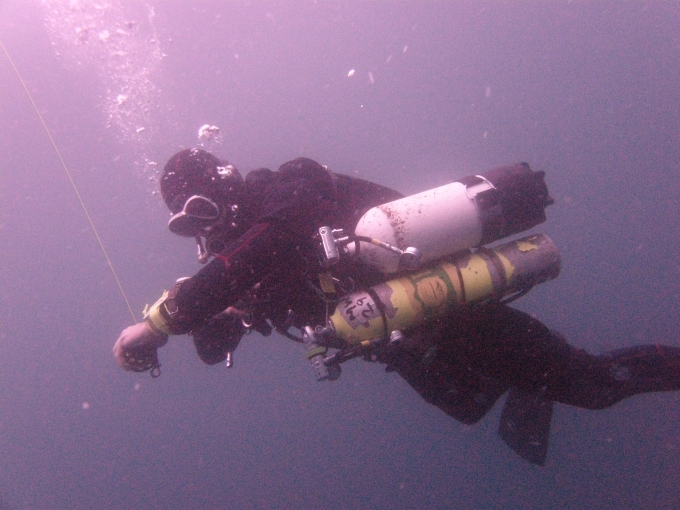 Having dived for the very first time in January 2013 on my Open Water course, this year has been a string of courses and dives to get me to this point. I look back on those early dives now, and remember that I didn’t really envisage myself going much beyond my Advanced Open Water Course – I suppose the bug just bit hard! 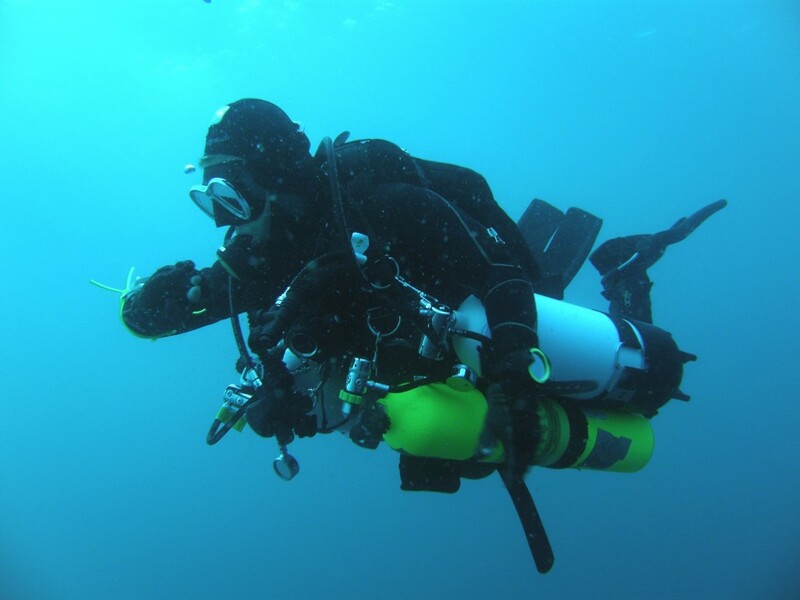 The TEC 40 course teaches you the skills and thinking required to make dives to 40m with no longer than 10 minutes decompression and using EANx blends of up to 50% oxygen for conservatism. But the course is much more than that. Technical diving requires a different mode of thinking. Fundamentally the in water skills are the easiest part of the course; obviously learning how to handle three gas cylinders in the water takes practice – but the real difference between a Tec diver and all your single tank recreational friends is the way you think. Tec divers are always planning to finish the dive alone if they need to. For those that enjoy gear, then tec 40 is for you! For those that love the opportunity to explore, well Tec Diving is also for you, how about spending twice as long as anyone else at 40 meters, all the extra time to spend on the wreck or reef. And for those that just want a little bit of James Bond in your life, well no-one would argue that you don’t look like a cross between James “shaken, not stirred” Bond and a Navy Seal when you are fully kitted up ready to go in your Side-mount gear! The course takes place over two days and one night. 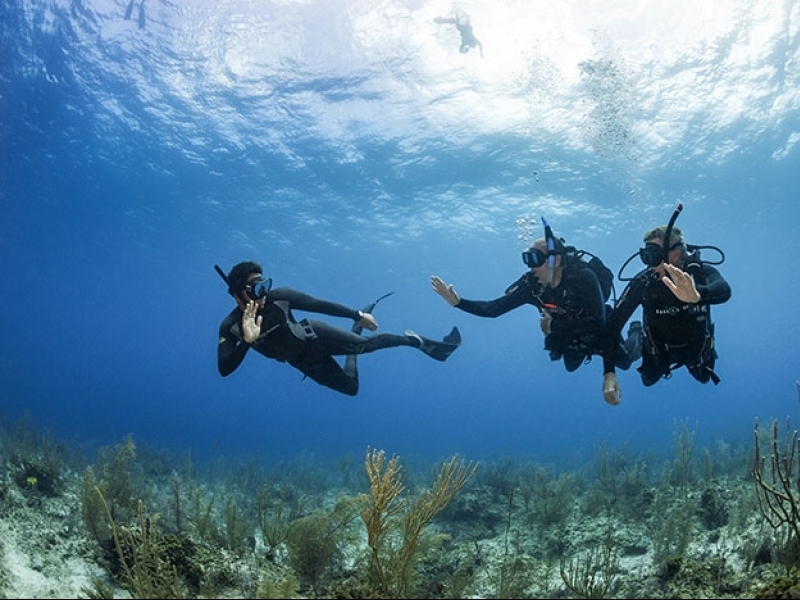 It is fair to say that the tempo does pick up from the recreational PADI courses. The obligatory acronyms are still around, although you will start to talk about things like Mission, Logistics, Inert Gas Narcosis and Gas Planning. You also learn how to plan the amount of gas you consume and will require for a dive; gone are the days where you just turn up and someone hands you a tank, now you have to order the correct size and pressure its filled at! Jamie our Tec instructor took us through the theory behind planning a Tec Dive, the concepts behind diving as a team and the responsibilities and risks that it carries. 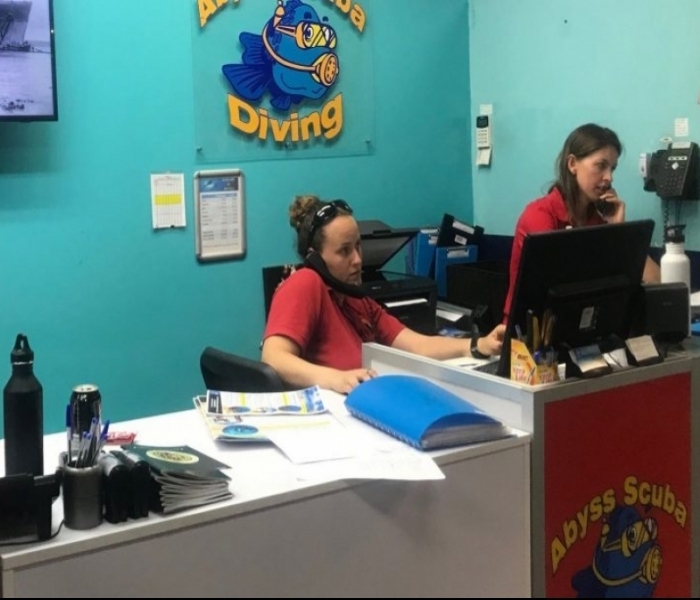 Our first day in the water involved working on skills you need as a Tec Diver – long hose air sharing, DSMB deployment, drift hangs and decompression stops. This was backed up by working out our Air consumption rates for later use. The second day of in water dives take place at 27m and 38 meters, and we again practice safety drills and using DSMB’s to act as deco ascent lines. The final deep dive gives us 27 minutes at approx 38 meters and then we start the slow ascent up the anchor line to our scheduled decompression stops. One major benefit of training at this level is that everyone on the course is committed, so we quickly made our way through the instruction; Jamie’s skills as an instructor are clearly on show as we work through the trickier skills. This course is for anyone that enjoys spending more time down at the deeper depths. For me, I never had long enough on the wrecks I enjoy diving, and the best wrecks are in 40-50m of water, so it’s just not worth diving on a single tank. Now that I have the skills to stay down, I fully intend to stay deeper for longer, so my goals are to work through Tec 45 and Tec 50 Hopefully I can dive some of the serious wrecks in the next 12 months. The HMS Hermes in Sri-Lanka is definitely on my hit list!